WIT -Dominii Veneti in Italia. . .
WIT, F.DE - Dominii Veneti in Italia. . . Title : Dominii Veneti in Italia. . ..
Map maker : WIT, F.DE. Date : Amsterdam, Covens and Mortier, 1770. Size : 20.3 x 24.6 inches. / 51.5 x 62.5 cm. 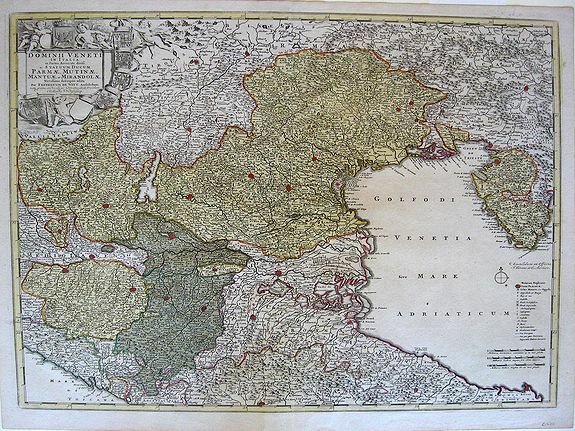 Description :Map of Northeast Italy, including Venice. Condition : Paper slightly age-toned. Excellent condition.